Getting into the food franchise business is a big step and one that should never be taken lightly. Not only do you have to decide if franchising is right for you, you also need to pick the right type of food franchise to invest in. Timing is also important. Franchising like other industries has ebbs and flows so you will want to make sure it is prime time to invest. Out of all the different types of food franchises out there right now, barbecue franchises are smoking hot. Who doesn’t love barbecue? You can’t go wrong with some of America’s favorite food and there is still a lot of variety mixed in with different types of barbecue that you will still be able to have some culinary creativity. With BBQ joints, you will get to be more creative in planning your menu and don’t have to stick to cookie cutter dishes. That is the great thing about barbecue. There are so many nuances when it comes to cooking the meat just right and adding the right blend of sauces to get the mouthwatering result you were hoping for. It takes a lot of skill and is a true art form so you will never feel like you are a factory and not a true restaurant with a Chaps franchise. When choosing your barbecue franchise to invest in, it is important that you are not buying into a market that is overly saturated. Luckily, Chaps Pit Beef’s unique stamp on BBQ is a crowd-pleaser which means they are able to expand by leaps and bounds. Already they have grown from a little shack to a strong franchise presence. Chaps Pit Beef is the brainchild of Gus Glava who owned a Southwest-themed night club on Pulaski Highway and his daughter and son-in-law. Back in May of 1987, Glava built the original Chaps Pit Beef on the grounds of his nightclub as a wedding gift for his daughter Donna and son-in-law Bob Creager who was working in a steel mill at the time. 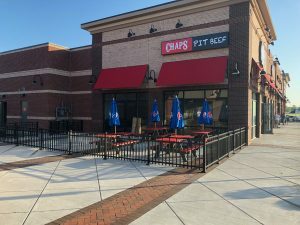 Since 2015 Chaps has been expanding its brand nationally through its franchise program. With new franchise units popping up in Maryland and spreading across the states as well as the national recognition they have received for their unique brand of barbecue, they are building a strong recognizable brand that will help ensure your success as a new franchisee. Before joining any kind of restaurant franchise, you of course, want to also make sure that you believe in the quality of food. 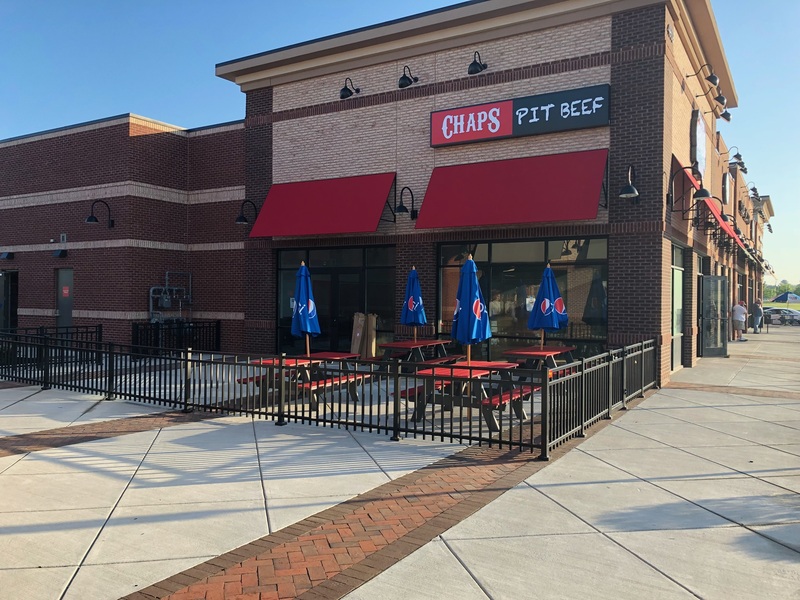 Chaps pit beef is a one of a kind barbecues so you should definitely have a love of barbecue and off good food. How Chaps prepares its food is about as unique as its history. Barbecue in Baltimore is distinctly different than it is in other regions of the country. Overall, now is the perfect time to invest in a Chaps barbecue franchise because it is one of the best money-making franchises. Barbecue will never go out of style and barbecue franchises are really popular now. And when you choose Chaps barbecue franchise, you can feel confident that with Chaps’ unique take on barbecue that your restaurant will always stand out in crowd. 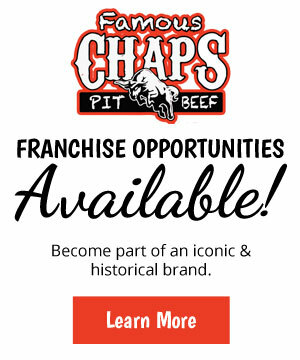 For more information about franchising with Chaps Pit Beef, call them today.